Today’s tip is a quick and easy for actually USING those free unit studies and other freebies you may collect all over your laptop hard drive. Oh, you don’t? Is that just me?? Tip #1 – Don’t download EVERY freebie. Seems simple enough right? But it’s the most important one, because if you bury everything you actually can and will use in the middle of a pile of freebies you won’t use, your ability to find and use something becomes significantly more difficult! I only download things that I think I will actually use in the near future. I tell myself not to stress about “missing” something because I’ve found that when the time comes that I need something (like looking for Saint Patrick resources this past week) I can always find freebies when I need them. 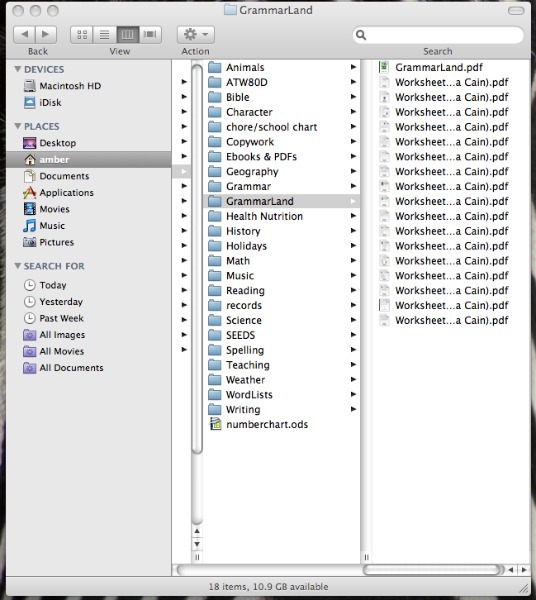 Tip #2 – Organize freebies into a system of folders soon after downloading them. Once upon a time I would download things and then let them pile up in the downloads folder until I eventually got around to weeding and sorting my overstuffed download folder. It was pretty sad. I would find things I’d downloaded months before and could have used if I’d remembered I’d had it. Moving them immediately into an organized folder system keeps them where you can see them. These files below are in a folder called “Homeschool” inside of my “Documents” folder. And also, if you DO happen to use more than one computer, set up your folder system on one.. and then if you download something on another computer, email it to yourself so that you can add it to your file system later, keeping everything in one place! Tip #3 – Browse through the freebies when you’re doing your planning at the beginning of the school year. If you find, say, a free spelling curriculum, that you’d like to use for the upcoming school year, go ahead and print the whole thing out. All at once. Don’t wait for each week (or day) and try to print out what you need! If you’re like me, you’ll get out of that habit and end up not using it at all. 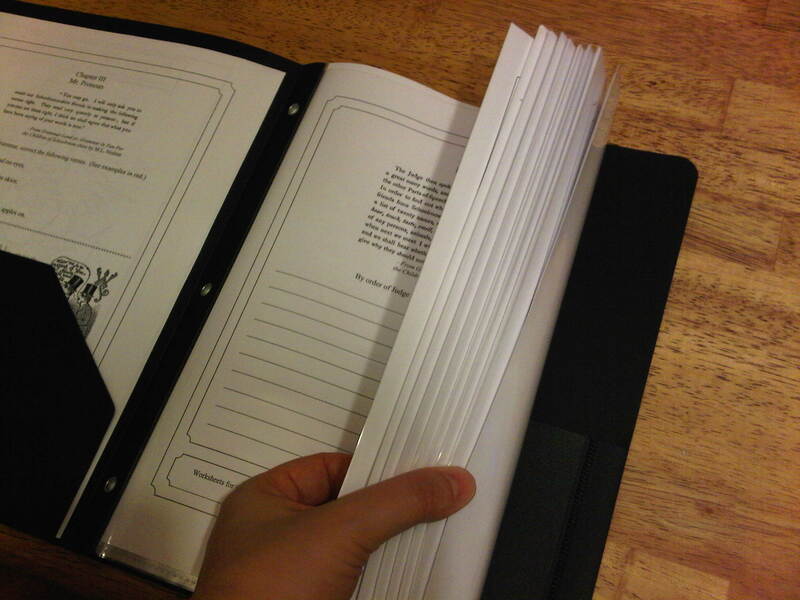 Set aside the time, paper and ink and PRINT IT ALL OUT. 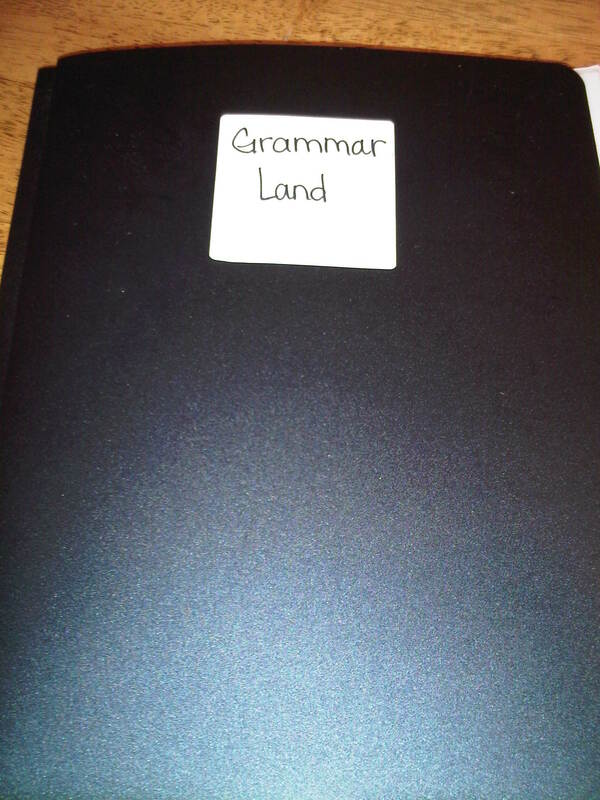 You can then organize the pages into weekly folders for the year, or just organize the whole set into a binder or a folder – as I did with the free pages I found for our Grammar Land unit study. 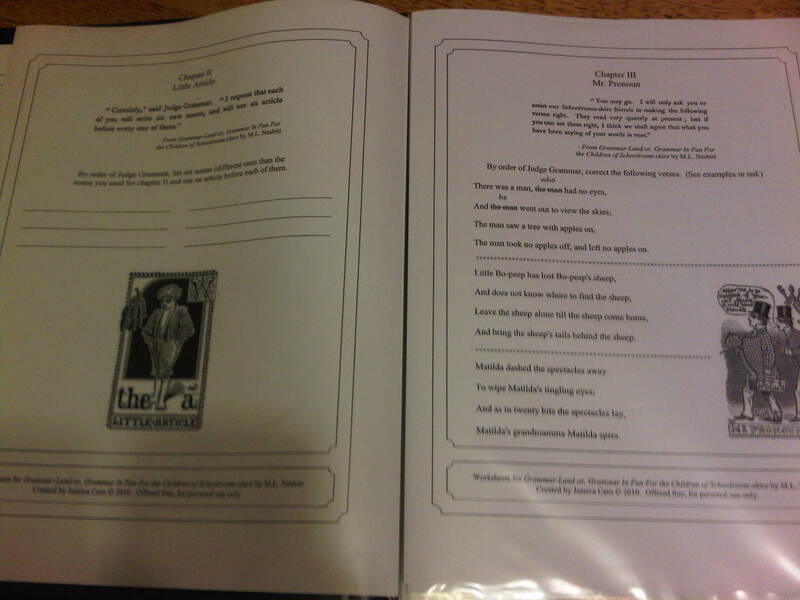 I printed copies for all three kids and organized them into page protectors in a bradded folder. That following tip has been the most useful in my actually implementing and using freebies around here! The folders are already ready to go and we actually use them instead of forgetting about them. I’ve done this for Grammar Land and Around the World in 80 Days and it’s working so well that I’ll be doing the same thing with a few other items lurking on my hard drive. So what about you? Do you make use of freebies? How do you make sure you actually USE them?? This post is a part of the ABC’s of Homeschooling series by Dawn at The Momma Knows. You can find all of my ABC posts here. Thanks for a great post. I bought the Omnibus and am currently downloading everything. Because I paid for it, and it will only be available for a short time (which I just found out about), I will be downloading everything. Got any help for how to organize the files in my computer? Right now, I’m just extracting them to a folder on my desktop, so I can find them later. Thanks! I’ve found that it is actually less expensive and time comsuming to take it to the print shop and have things printed. And if it is something I will be using for longer than week or two, I also pay the few dollars to bind it.